Take about a cup of water, place in a glass flask, then plunge in liquid nitrogen. Watch. 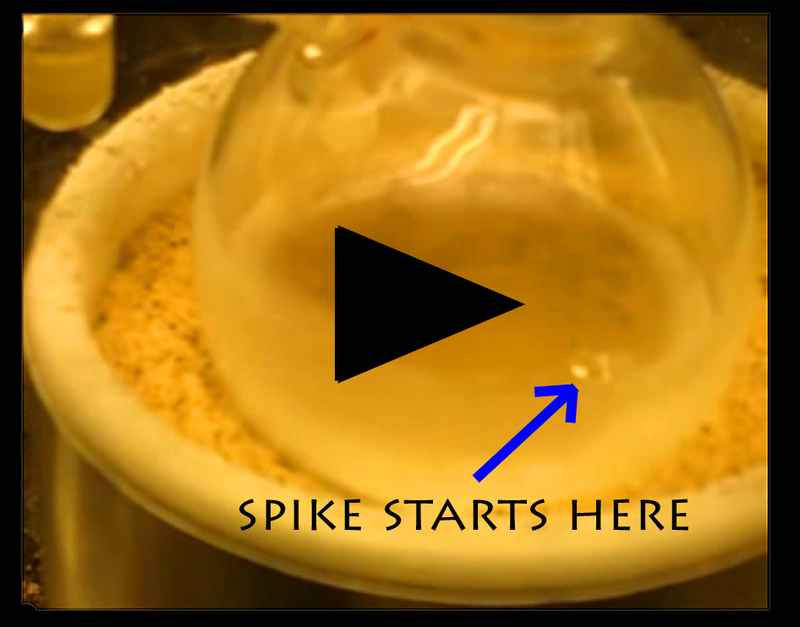 What happens in that video is that the water starts to freeze from the bottom and sides of the flask, and the ice also spreads across the top surface. When the water turns to ice, it expands by about 10% and so the remaining water must be pushed aside. If a hole remains in the top ice layer, the water gets pushed out the top. The trick of putting the flask in liquid nitrogen (about -200 C) came from Larry Wilen back in about 1989 when we were at the University of Washington. I later did the trick a few times at the University of Arizona, but I thought I'd try to perform it during a talk I gave in January, 2013. So, I went to see the chemistry-department demonstration guy, Eric Camp, at the UW, and we tried to replicate the demo. Now, in the past, I could get the spike pretty much every freeze, but Eric and I had the hardest time with it. So, in the end, I got the video, but didn't attempt the stunt at my talk. jnelson This entry was posted on March 6th, 2014 at 07:34:00 pm by Jon and is filed under Ice Science, Funny-strange ice.